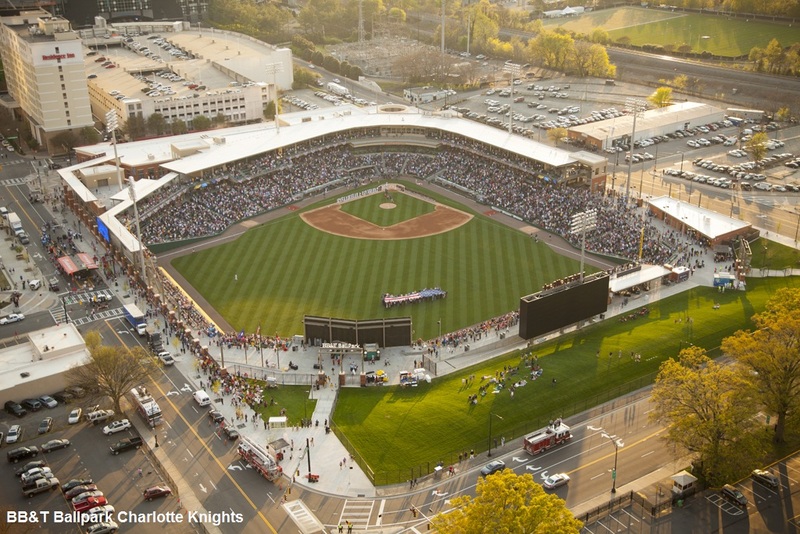 CHARLOTTE- The Charlotte Knights lead all minor league teams in attendance for the 2014 season. The number of people who went to BB&T Ballpark this year is three times the number of people who went to games, in their old baseball park located south of Charlotte in the suburb of Fort Mill SC, last year. BB&T Ballpark will host one final baseball game. The AAA National Championship Game will take place on September 16, 2014. 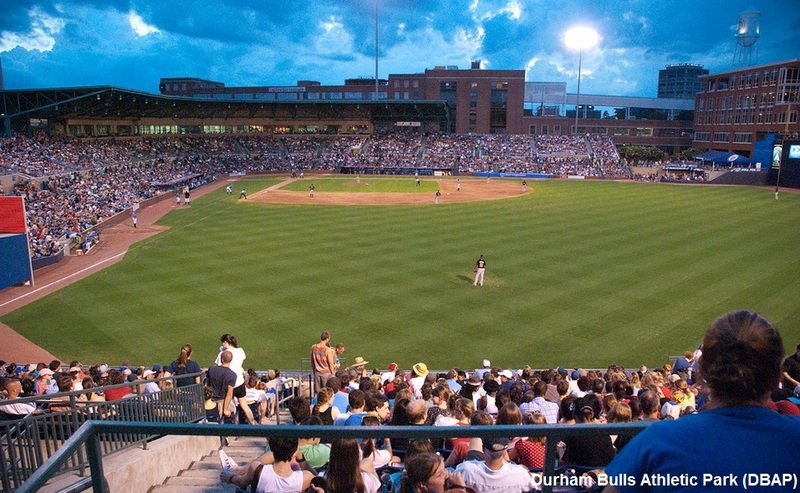 Durham Bulls fans broke a single-season paid attendance record this year, surpassing 533,000 viewers this year. In addition, the team extended its affiliation with the Tampa Bay Rays through 2018. The team’s previous attendance record was set in 2007 with total paid attendance of 521,000. The average attendance was more than 7,600, more than 450 additional fans per game compared with last season. INDIANAPOLIS– The Indianapolis Indians broke their attendance record. The team had 15,250 fans show up at the final home game of the season. This season was the most well-attended in franchise history with 660,289 fans. The 2014 Governors’ Cup playoffs feature a familiar cast of characters — with one exception. Columbus, Durham and Pawtucket all have been regulars in the International League’s playoffs. Durham, for example, clinched its seventh South Division title in eight seasons this year, while Pawtucket punched its ticket to the playoffs for the fourth year in a row. Meanwhile Columbus advanced to the postseason by winning the West for the first time since 2011 and the third time in five seasons. Moreover, the last five Governors’ Cup titles have been won by three teams — you guessed it: Durham, the defending champs, and Columbus have won two each, while Pawtucket claimed the other. And then there is Syracuse. The Chiefs ended the longest playoff drought in the International League by earning a berth in the Triple-A Governors’ Cup playoffs for the first time since 1998. What’s more, Syracuse clinched its first North Division crown since 1989 with a 6-2 victory at Pawtucket on Aug. 30. The race for the playoffs came down to the wire again in the Pacific Coast League as three of the four divisions were not clinched until the final weekend of play. Omaha went from two games back of Oklahoma City to winning the division by 2 1/2 games, courtesy of a series sweep of Colorado Springs while the RedHawks were swept by Iowa in the season’s final series. The Storm Chasers will now face Memphis, which held off in-state rival Nashville for the American Southern Division title. In the Pacific Conference, Las Vegas cruised to the Southern title, while Reno had to (and did) beat Sacramento head-to-head in four of five games to clinch the Northern crown. That sets up a battle of Nevada for the conference title. The Redbirds and Storm Chasers have gone from division rivals to playoff rivals in the span of one season, something the PCL’s 2014 realignment made possible. Now for the first time in the PCL, a Cardinals affiliate will match up with a Royals affiliate in a Triple-A version of the I-70 rivalry.